July 26, 1875, Kesswil, Switzerland, 7:32 PM (Source: according to LMR, given by his daughter, Gret Baumann, an astrologer. Several comparable times given by various astrologers, including Marc Penfield—7:20 PM. Sunset, according to Jung himself). Died, June 6, 1961, Küsnacht, Switzerland. 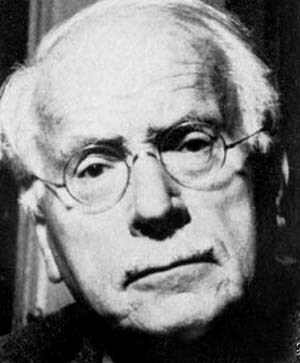 Carl Jung was one of the greatest modern scholars of the psyche. His immediate experience of the psyche was profound and occultly alchemical to a great degree. Above all, however, he was a physician, healer/therapist upon the second ray. The fourth, fifth and seventh rays also played an important role in his life and thought. The influence of Leo signifies his interest in the process of “individuation”, and in the autonomous activity of the “Self” (presumably, the ‘Higher Self’). Aquarius, his very probable Ascendant, signifies the eclectic universality of his thought. How indeed? He copes, like everybody else, as well as he can, that's all. And it's usually deplorably enough. I have treated many hundreds of patients. Among those in the second half of life-that is to say, over 35-there has not been one whose problem in the last resort was not that of finding a religious outlook on life. Our blight is ideologies - they are the long-expected Antichrist! The brain is viewed as an appendage of the genital glands. The iimages of the unconscious place a great responsibility upon a man. Failure to understand them, or a shirking of ethical responsibility, deprives him of his wholeness and imposes a painful fragmentariness on his life. Your vision will become clear only when you can look into your own heart . Who looks outside, dreams; who looks inside, awakes. 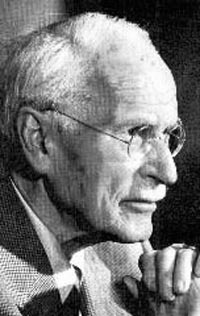 Carl Gustav Jung (1875 - 1961) was born in Switzerland within a family that had deep roots in the country and in the Reform Church. His father was a clergyman, and his mother was the daughter of a long-established Basel family. As Jung admits in his autobiography, his childhood linked him to the rural people and their folklore forced him to understand solitude (his only sister was born when he was nine years old); and made him very conscious of the separation between the personality he entered into relationship with on the outside, and the other that lived inside. School was difficult for him because few teachers and fellow students understood the intense child that pursued interests with passion and thoroughness but could ignore totally what did not appeal to his imagination. The early death of his father forced Jung to be practical in this choice of career. He chose medicine over interests in such things as archaeology. Medical studies at the University of Basel did not prevent him, however from reading extensively in philosophy and literature. During this time, he developed a passionate love for Goethe. These varied interests probably explain why he chose psychiatry over internal medicine. In the practice of psychiatry, he could combine his desire to be scientific and empirical with the desire to understand the human soul. 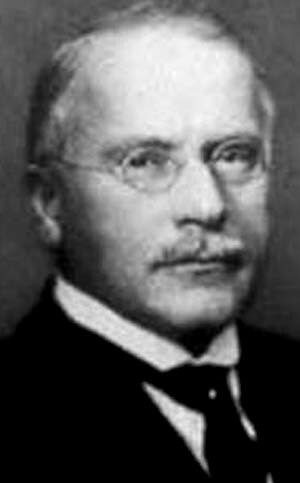 Upon graduation, Carl Jung was appointed assistant staff physician at Burghölzli Mental Clinic. He immediately realized that helping these patients could only happen if there were relationship. This encouraged him to develop different techniques of contacting the affective life of his patients. His first research experiments were in word association. This led to several publications, which in turn led to a meeting with Freud and membership in the international association. His reputation as one of the more innovative psychologist spread rapidly. Jung was captivated by his career and especially by the intense need to understand the human being. His knowledge of psychology was obtained from clinical experiments, from work with patients, from extensive observation of other cultures, studies of comparative religions and mythologies, symbolism, alchemy and occultism. His own personal, experience of depth led him to the discovery of psychic objectivity. The depth world of the individual has its own objectivity and the strong enough ego can explore the collective unconscious. Throughout these intense periods of research and clinical work, completed by extensive trips to all parts of the world, acknowledges that his ability to keep in balance and remain objective was due to his wife, Emma, and to his five children. His profession and his sense of responsibility to his patients were also an important point of security and insurance of always returning to research within the scientific perspective. Jung's life work covers all aspects of the psyche. It is extensive and universal. He has left a legacy that invites personal study and experiential discovery through the process of individuation. The number of students worldwide that have found their motivation in understanding and clarifying his contribution to the "Know Thyself!" injunction are innumerable. 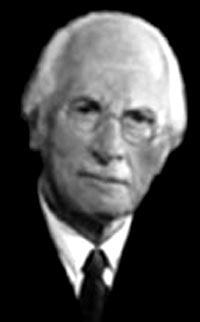 Jung had no desire to establish a school of psychology. His goal was to serve as motivator and mentor to all those who wanted depth and meaning to their life. 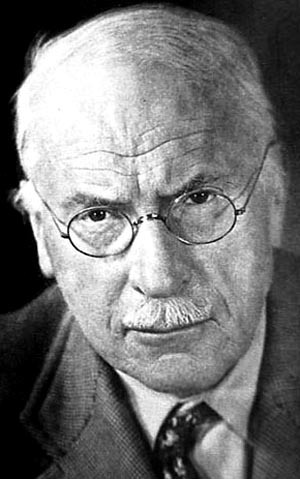 Carl Gustav Jung died in his home in Küsnacht, Zurich, June 6, 1961. 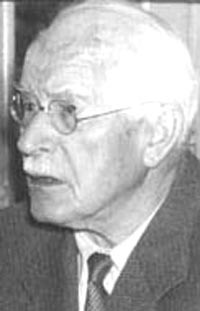 People of all ages from different countries and from varied cultures have read Jung's writings and have experienced moments of "being at home", of feeling seen, of being recognized. This is mainly because Jung has given us the concepts, the techniques and the reasons. His psychology has the lengthy description of, as the title of one of his books states, "Modern Man in Search of a Soul." His psychology includes the structure of the psyche with its dual reality of consciousness and unconsciousness, personal and collective. It gives us concepts such as the ego, the persona, the shadow, anima/animus, the Self. Jung developed a typology that explains human behaviour as a combination of thinking, valuing, intuition and sensation and that popularized the terms extrovert and introvert. The techniques that characterize depth analysis include dream work with a prospective rather than a regressive outlook; amplification, association, active imagination, etc. In Jungian analysis the relationship between analyst and analysand is primordial. Jung believed that the real cure of soul occurs in that relationship. Without it, no transcendental function or third space container can be constellated so as to allow transformation. Jungian psychology has opened the doors to the treasure house that is an integrated approach to the human being. It is above all an invitation to self-acceptance and a path to give meaning to your life. When you realize that you can be the container for the tension and energy created by the struggle of all opposites in your life, then balance, harmony and freedom become possible. Unity becomes a fact, because through symbols one feels the meaning that explains the suffering. The symbols incarnate the archetypes that unite us in our common humanity. The archetypes, the symbols, the iimages that populate our dreams, our poetry, our myths, our fairy tales, our literature help us perceive the unus mundus. Jungian psychology is the bridge from the individual to the collective and back again. Jung summarizes the feeling of harmony in the following way: "At times I feel as if I am spread out over the landscape and inside things, and am myself living in every tree, in the splashing of the waves, in the clouds and the animals that come and go, in the processions of the seasons." "To find out what is truly individual in ourselves, profound reflections are needed; and suddenly we realise how uncommonly difficult the discovery of individuality is." From "Relations Between the Ego and the Unconscious"
"The unconscious as we know can never be "done with" once and for all. It is, in fact, one of the most important tasks of psychic hygiene to pay continual attention to the symptomology of unconscious contents and processes, for the good reason that the conscious mind is always in danger of becoming one-sided, of keeping to well-worn paths and getting stuck in blind alleys. The complementary and compensating function of the unconscious ensures that these dangers, which are especially great in neurosis, can in some measure be avoided." From "Phenomenology of the Self"
1875 Jung is born in in Kesswill, Switzerland, son of a Reformed Protestant pastor, Johann Paul Jung, and Emilie Preiswerk. 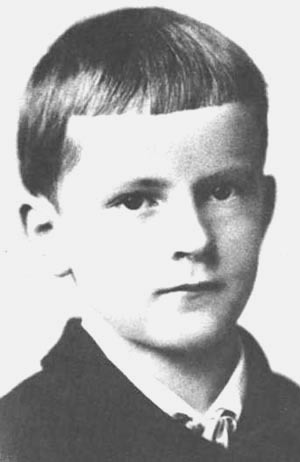 1895 Jung enters Basel University to study science and medicine. 1900 Jung graduates with a M.D. from the University of Basel and is appointed assistant at the Burgholzli Psychiatric Hospital, Zurich, under Professor Eugen Bleuler. 1900-1909 Jung works at the Burghoelzli Mental Hospital in Zurich. 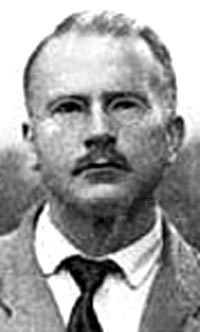 1902 Jung gets his Ph.D. at the University of Zurich with a doctoral dissertation 'On the Psychology and Pathology of So-Called Occult Phenomena'. 1903 Jung marries Emma Rauschenberg. The get five children in the course of time. 1905-1913 Jung lectures in psychiatry at the University of Zurich. 1906 Jung initiates letter correspondance with Sigmund Freud and visits him next year in Vienna. 1907 Jung's first meeting with Freud. He writes the work The Psychology of Dementia Praecox. 1909 Jung resigns from Burgholzli. He visits USA with Freud. 1909 Jung also opens his private practice of psychoanalysis in Kuessnacht - he runs it enthusiastically till he dies. 1910 Jung is elected President of International Psychoanalytic Association. He writes Symbols of Transformation. Lectures at Fordham University. 1912 Jung declares he is scientifically independent of Freud and publishes Neue Bahnen der Psychologie. 1913 Jung resigns as President. His final break with Freud. 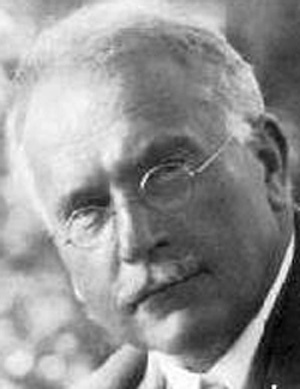 1916 Jung publishes La structure de l'inconscient. 1917 Jung publishes Die Psychologie der unbewussten Prozesse. 1919 Jung's first use of the term archetype (in Instinct und Unbewusstes). 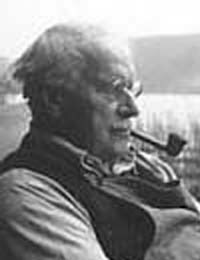 1921 Jung publishes Psychologische Typen (Psychological Types). 1923 Jung starts the building of his "tower" in Bollingen. 1923 Jung visits Pueblo Indians in North America. 1925 Jung's study trip to the Elgonyi of Mount Elgon in East Africa. 1929 Jung's Commentary on the Taoist text The Secret of the Golden Flower. 1931 Jung publishes Seelenprobleme der Gegenwart. 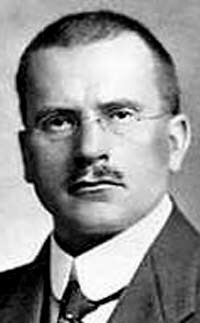 1932-1940 Jung works as a professor of psychology at the Federal Polytechnical University in Zurich. 1934 Jung publishes Wirklichkeit der Seele. He also begins series of seminars on Nietzsche's Zarathustra. President (until 1939) of International Society for Medical Psychotherapy. 1935 Jung's Tavistock Lectures, London, on "Analytical Psychology". 1937 Jung's Terry Lectures, Yale University, on "Psychology and Religion". 1937 Jung's study trip to India. 1941 Jung publishes Essays on a Science of Mythology with Karl Kerényi. 1944-1945 Jung becomes professor of medical psychology at the University of Basel, and his Psychology and Alchemy is published. 1945 Jung publishes Nach der Katastrofe. 1948 Founding of C.G. Jung Institute, Zurich. 1950 Jung publishes Aion - Fänomenologie des Selbsts. 1951 Jung's lecture "On Synchronicity". 1952 Jung publishes Antwort für Job (Answers to Job). 1957 Jung publishes Gegenwart und Zukunft. 1961 Jung dies at his home in Kusnacht, near Zurich, at the age of 85, after a short illness.